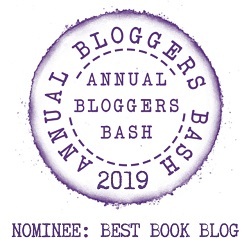 This week on ‘The Writing Life of:‘ I am thrilled to be interviewing author Rachael Featherstone, as part of the blog tour for her latest book. 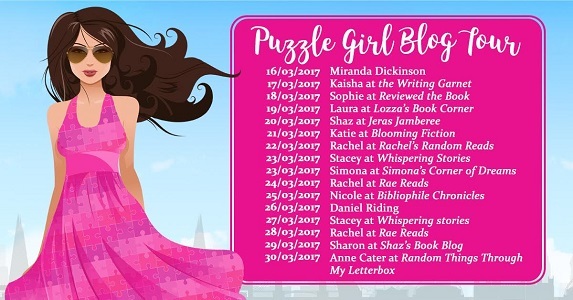 Rachael will be sharing with us detail of her writing life, telling us all about her latest book ‘Puzzle Girl’, which was released on 16th March 2017, and answering a few fun questions too. Rachael Featherstone was born and raised in Woodford. After reading Mathematics at New College, Oxford university, Rachael went to work in research. When Rachael’s mother was diagnosed with terminal cancer in 2012, Rachael decided to take a chance, quit her job, and fulfil a life time ambition to write a novel. She went back to university and completed a Masters in English Literature and had several short stories published. Rachael now lives in Hampshire with her Husband, Tim. 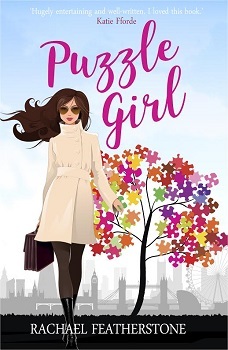 Puzzle Girl is Rachael’s debut novel. It changed every few months. I remember wanting to be a teacher like my mum, then an architect, then an actuary. I loved Jacqueline Wilson, Anthony Horowitz and Philip Pullman. I did star jumps in my living room when I found out Philip Pullman was writing another Dark Materials trilogy! Deep down I’d always known I wanted to be a writer but it wasn’t until my early twenties I really considered it seriously. I’d already quit my job to spend time with my mum. So I decided to take six months out and set myself the goal of writing a first draft in that time. I also wanted to get a short story published. I’d read a lot about how hard it was to secure a literary agent and having published short stories in your cover letter could help you stand out. It varies depending on what stage the book is at. During the first draft I sit at the table, whether I’m writing or not. Sometimes inspiration doesn’t strike until the afternoon but I sit there all the same. I find if I watch TV I have no creativity so I have a strict rule of no TV until after I’ve reached my writing goal. I tend to aim for a specific word count rather than number of pages. One of the novels I’ve written is quite different to Puzzle Girl so if that was published I would definitely write under a pseudonym. I’m not sure about strange but I’m definitely an all-or-nothing girl when it comes to the first draft. I like to finish this as soon as possible so I work through weekends and aim for 2,000-5,000 words a day. I type the first draft on my laptop and then edit by hand. Then I send it to my kindle and read it as if it were a real book, and after that I tend to tweak on the computer. I’ve written three novels and another two are nearly finished. Puzzle Girl was the first novel I wrote. A massive plotter. I do everything ranging from post-it notes to spreadsheets. Yes. I don’t have the self-control to avoid them. When someone says something nice about Puzzle Girl it is such an amazing feeling. And if someone has criticism then I try to see it as a learning opportunity to improve my future novels. Usually the more the character’s personality forms the more a name just came to mind. For the rest I used baby name sites. Cassy is like Monica from Friends, she’s driven, she likes things to be perfect and she’s also a loyal friend. She loves lists and likes to unwind by doing a puzzle or two. Well, the prologue/first chapter is definitely the part of the book that has gone through the most rewrites! After a one-to-one with an agent who told me they didn’t like the working title I had, I went back to the drawing board. I came up with a list of words that described the book and what made it unique. Before my mum died, I read her the opening. It really means a lot of me that she got to read some of it and one chapter in particular is very much unchanged from the version I read to her back in 2012. I also have four very good beta readers. I attended a couple of writing festivals and soon realised just how complicated the publishing world is so I felt I wanted a literary agent. I did tones of research into agents that I thought would be a good fit and after a one-to-one pitch at the Winchester Festival my fabulous agent, David Headley signed me. We worked hard on making Puzzle Girl the best it could be and he secured me a publishing deal with Accent. Erm… I think I just sat there in shock for a while. Then after a couple of days I sent it to a friend of mine who owed a bookshop to see what she thought. I’ve been working on two romantic comedies simultaneously so hopefully it won’t be too long before David is sending one of them off to publishers. See there are so many for this one. I’d say anything Disney. The Little Mermaid. Well, that depends what book I’m writing because I tend to change my favourite song based on what novel I’m writing. Looking at Spotify right now, last played was Billionaire by Bruno Mars (aiming high). Ha – Bruno Mars’ song is on the money! I’d buy a holiday home in New Zealand. You can find out more about Rachael by visiting the website/social media sites below. I would like to say a big thank you to Rachael for sharing with us details of her writing life, and for a wonderful interview.